PLEASE CONTACT US TO SEE IF WE WILL BE ABLE TO COMPLY with your desired receive date. Need your items to be shipped to you ASAP! No worries, USPS and I have you covered! With this add on, your monogram or cake topper will cut next business day. Allow 2 additional business days for painted or plated items. 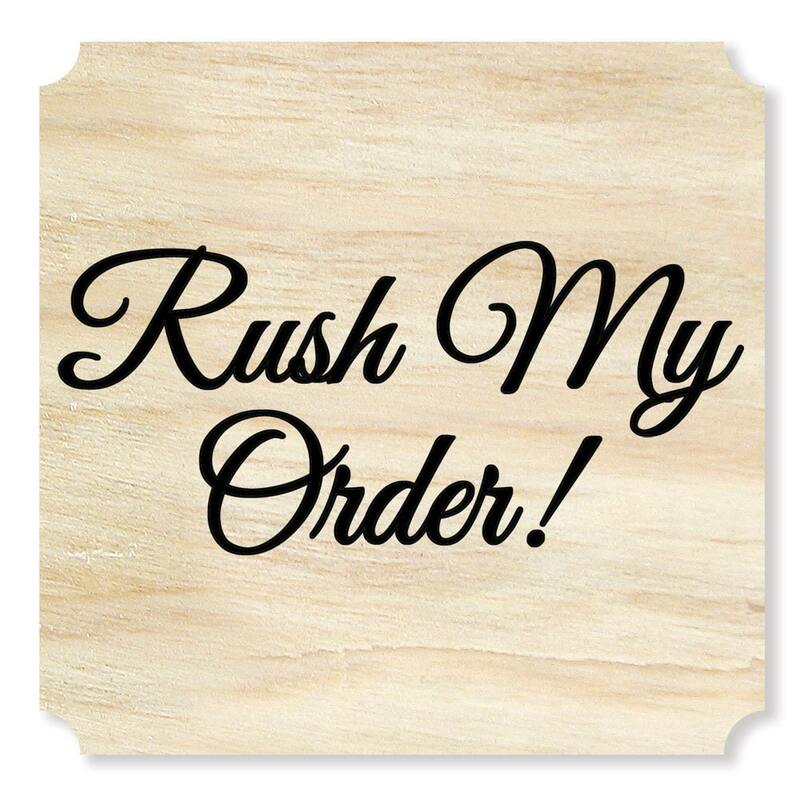 Try to place your rush order in the early hours to allow us enough time to speed up your monogram. Your order will be shipped standard USPS Priority Mail (2-14 business days). If you would like to expedite shipping of your order to Express Mail 1-3 business days or 1-2 business days USPS, please contact us and we will create a custom shipping listing and will charge you the remaining balance owed, after shipping cost has been approved. If you have any questions please do not hesitate to contact me, I will be more than happy to assist you.